This is THE book on hand development and drumstick control. 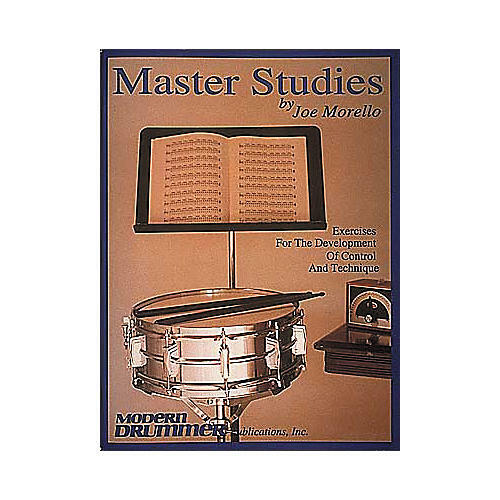 Master Studies by Joe Morello focuses on these important aspects: accent studies, buzz-roll exercises, single and double-stroke patterns, control studies, flam patterns, dynamic development, endurance studies, and much more! The Modern Drummer publication provides excellent exercises for hand technique for advancing drummers.